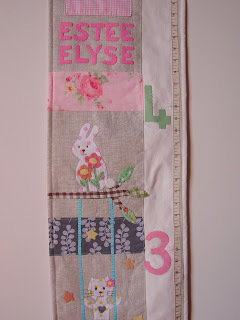 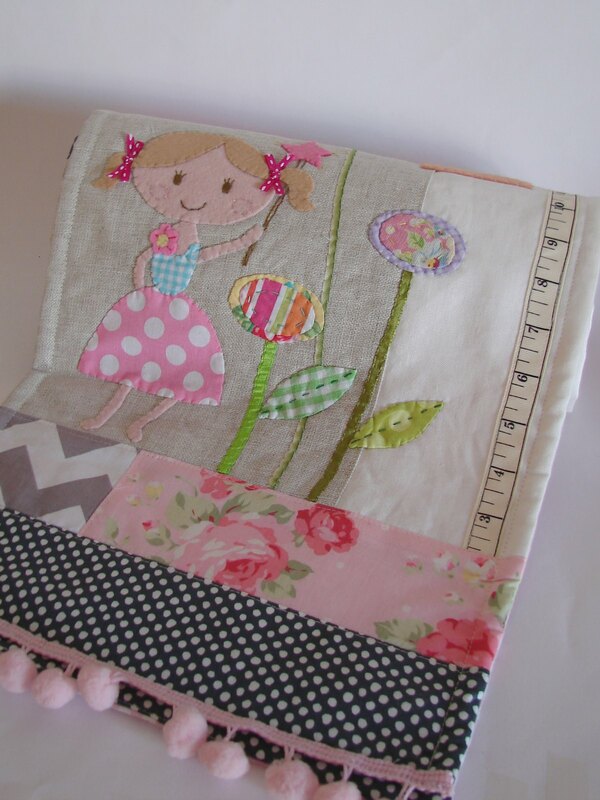 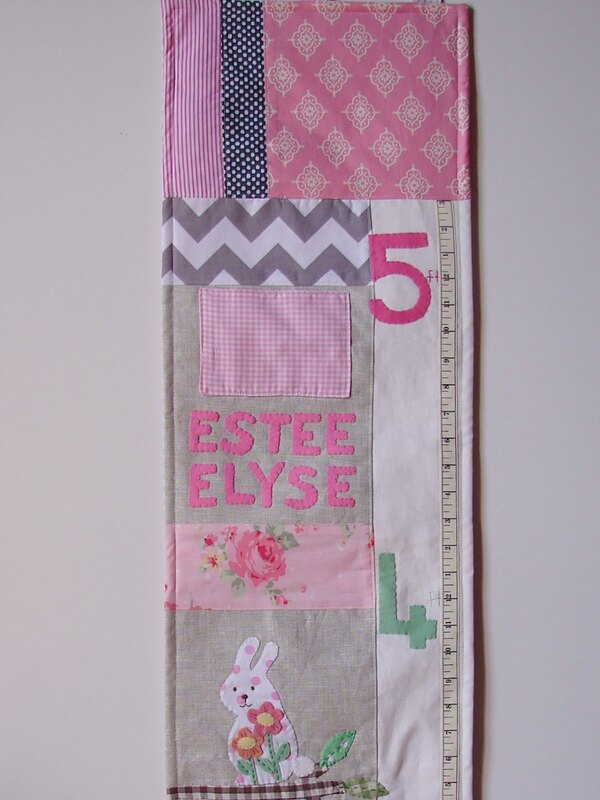 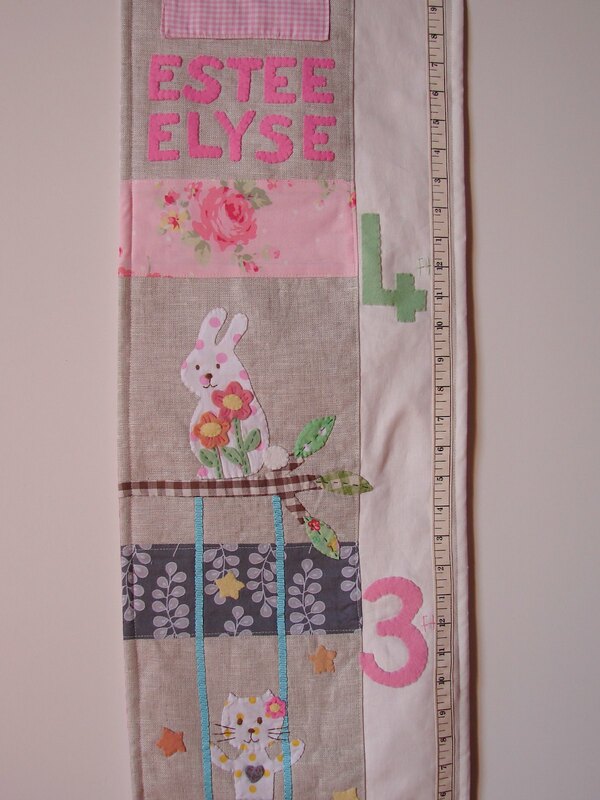 This is the latest growth chart I finished lately. It's for a little girl who loves her cat, flowers, stars, wand, bunnies and snow. 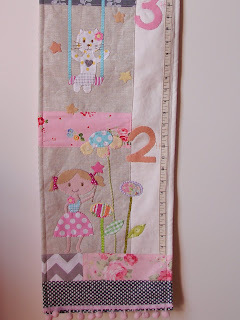 I included all elements except for the snow which I felt didn't really tie in. 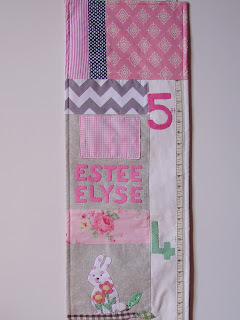 Her room is especially pinks and greys with some white and black. 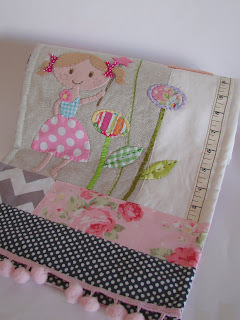 I love the pink and grey together and was thinking how lovely a quick would be in these colours!